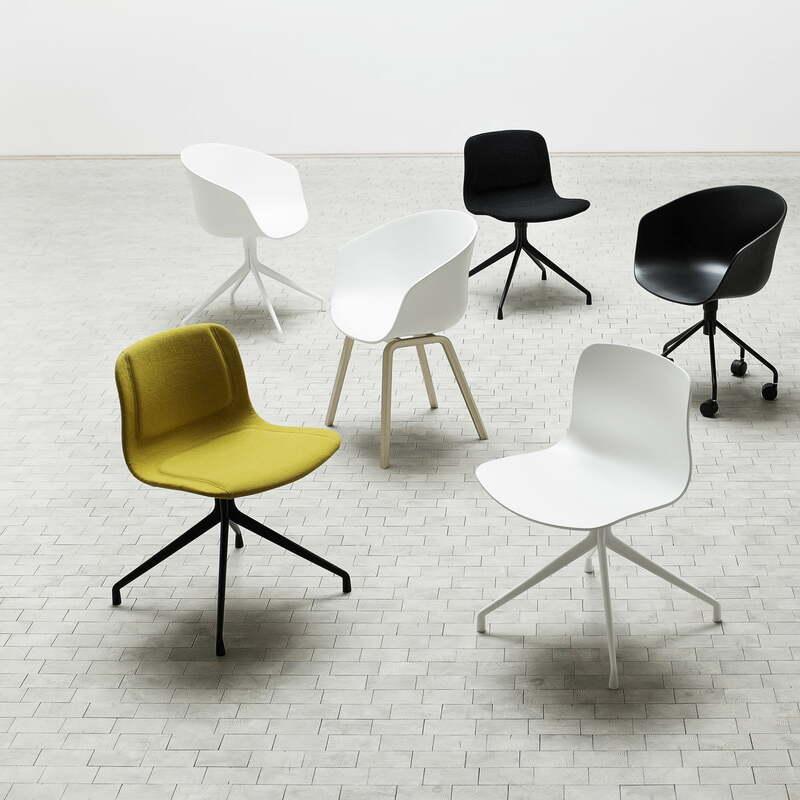 About a Chair by Hay is a chair collection with striking simplicity in design. With it, the designer Hee Welling has reached a new level in combining shape, function, comfort, detail, and aesthetics. 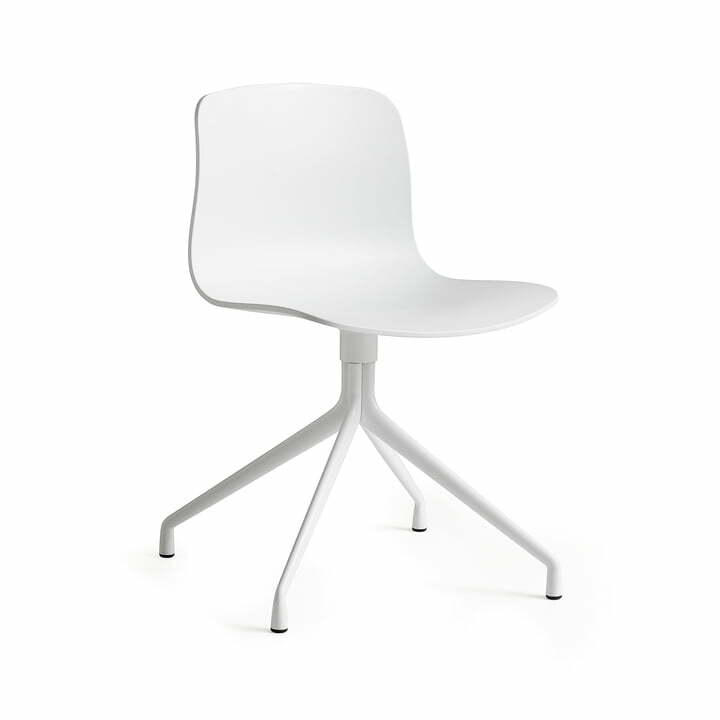 The chairs are consciously simple and plain and can therefore easily be combined with other furniture without difficulty. They fit excellently into various surroundings and architectural styles due to their simplicity, which is why the chairs are also predestined for the object area. According to the ideas of designer Hee Welling, the About a Chair chairs should feel just as at home in a restaurant or canteen as in the office, at the home dining room table or at a conference table. In this context the idea of the simplicity became a guarantor for functionality and compatibility. 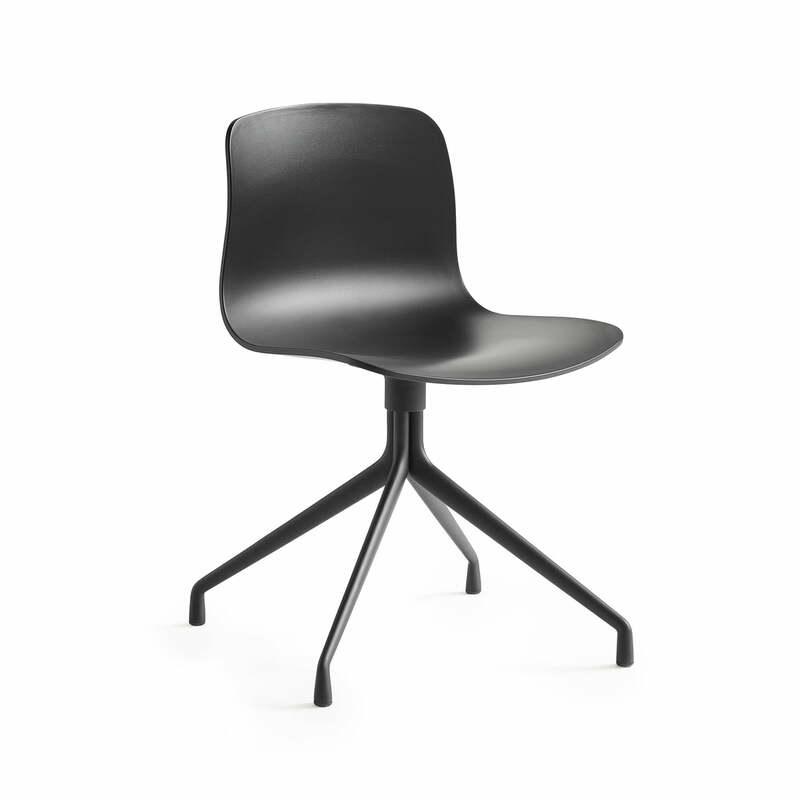 The seat shell without armrests of the About A Chair AAC 10 consists of dyed polypropylene and is non-upholstered (cushions are optionally available). 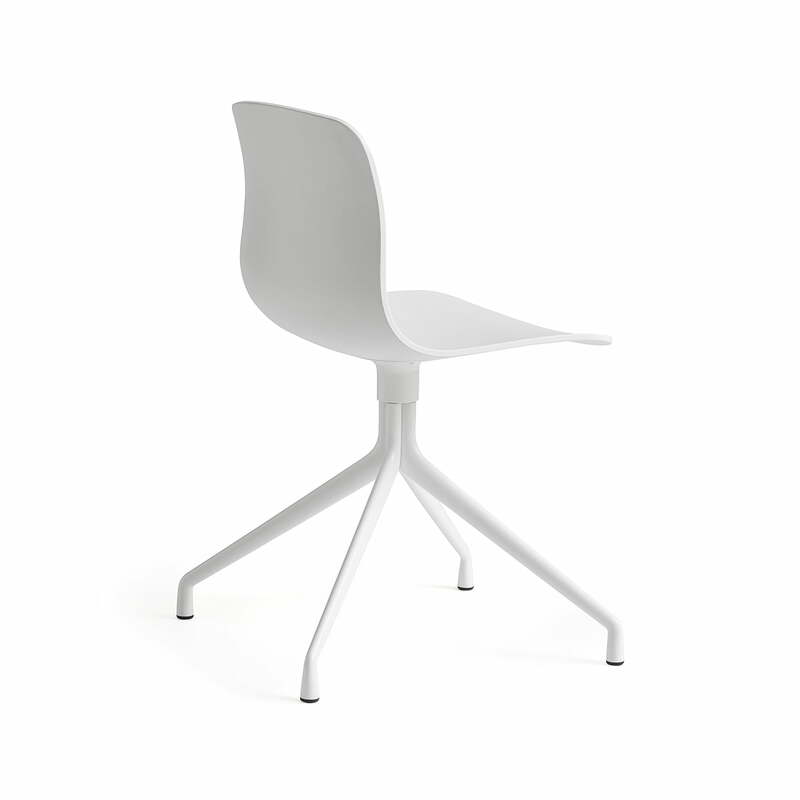 The swivel base consists of powder-coated or polished aluminium. 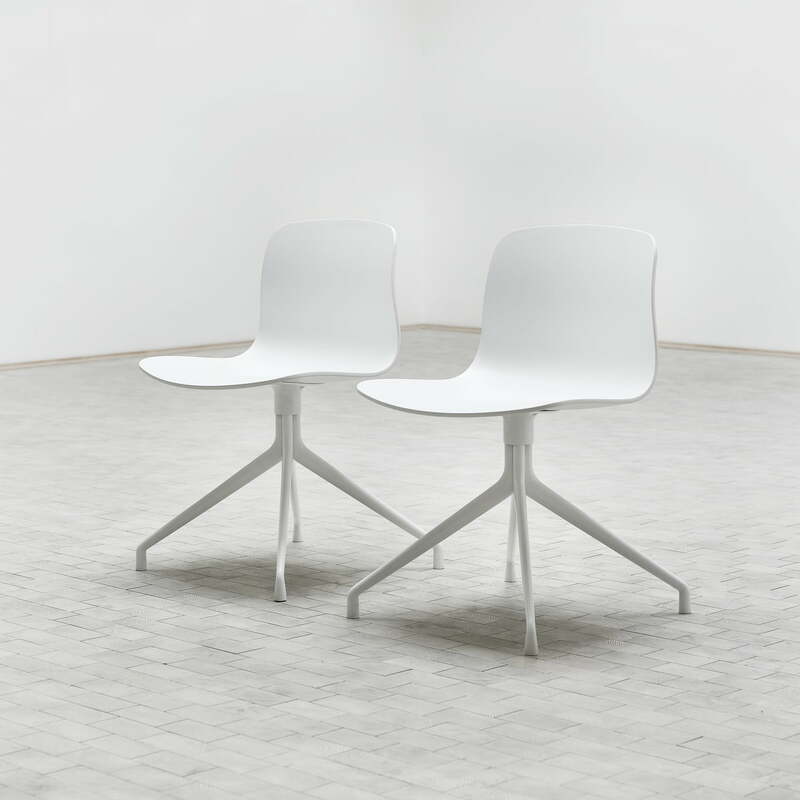 Furthermore, the About A Chair by Hay is also available with different seat shells and frames such as in the AAC 11 edition with upholstery or the AAC 20 with armrests: The seats shells and frames of the AAC series also enable numerous combinations which never seem random or unwanted. We are happy to advise your on personalised configurations.